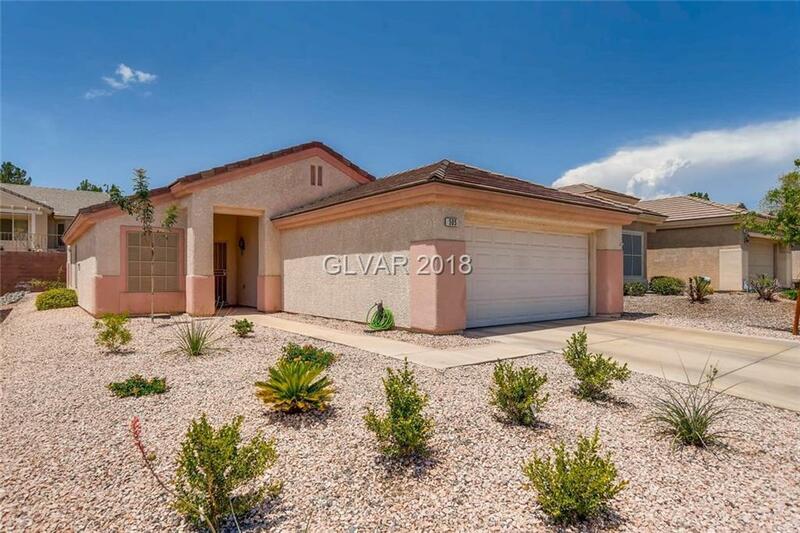 Sun City Macdonald Ranch home in Green Valley Ranch-Amenities galore! Community center has everything you need plus-the District at Green Valley Ranch down the street! New complete heat/HVAC system ($10,000) June 2018, New Refrig-washer-dryer ($5000), newer water heater, carpet and inside paint 1.5 yrs old-new light fixtures-Granite kitchen counters and upgraded white cabinets-screened in sun room-hobby room off garage-vaulted ceilings thru-out! Directions: From I-215 Take Valle Verde Exit 3b, South On Valle Verde Towards Horizon Ridge, Right On Horizon Ridge, Right On High Mesa, Left On Joy View, Right On Dalgreen.